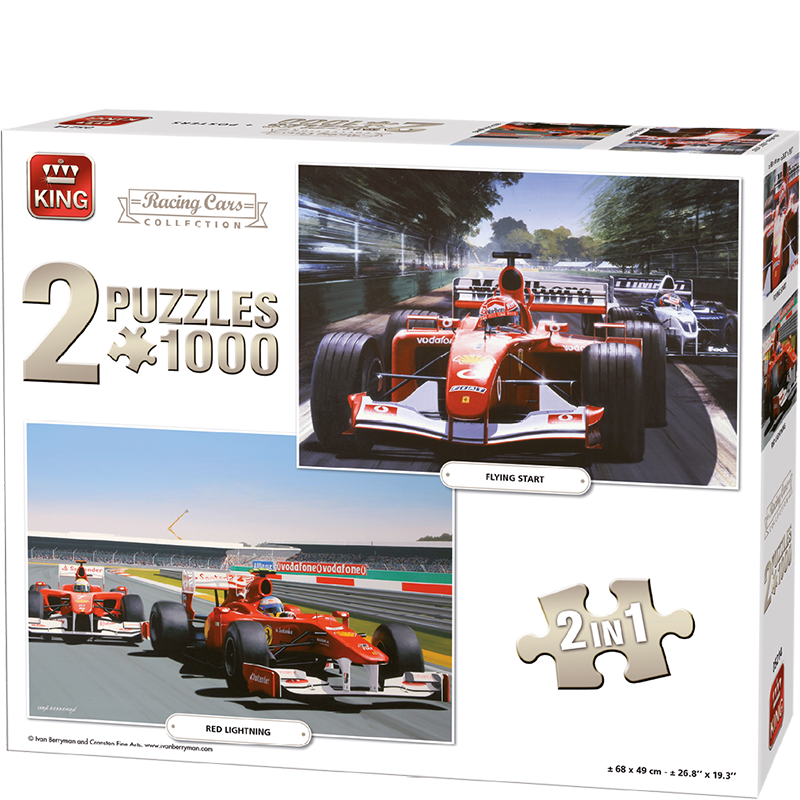 This box contains two 1000 pieces puzzles of a car race. One of these puzzles is the start of the race and the other is an image during the race. Two amazing puzzles for car enthusiasts.